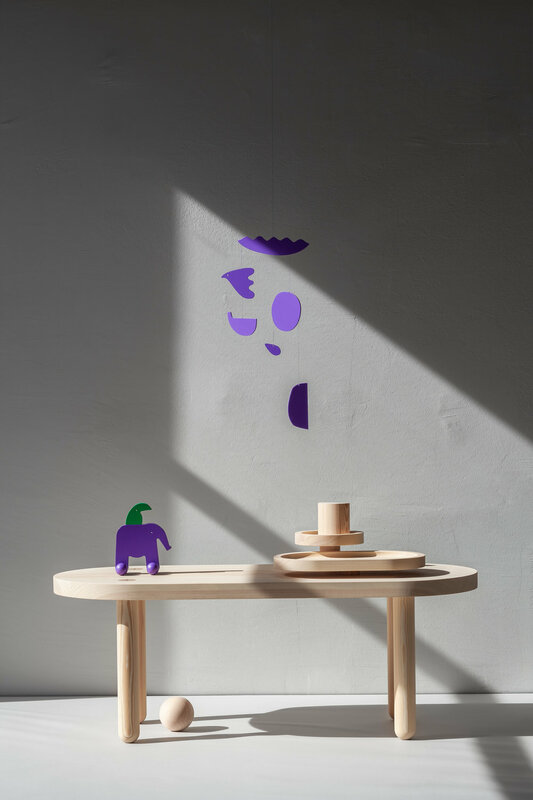 SALONE DEL MOBILE ::: DESIGN WEEK MILAN 2019 STUDIO OINK x KUMI MOOD with "Dry paint and all the bended branches"
Dry paint and all the bended branches is a poetic symbiosis of the objects of KUMI MOOD and STUDIO OINK. „Play! I called. I just want to play! I smell the wood. Such a scent! And how strong you are! What can we experience? I wake up and everything is very colorful and smooth. I walk. A small branch brushes my shoulder, a bird comes by. I take a deep breath. I keep walking. A butterfly tickles my ear. I lean on your trunk. And again I take a deep breath. The objects and furniture of KUMI MOOD and STUDIO OINK refer to a world of childlike poetry and imagination. Silently narrated stories and experiences combine both works and present themselves in simple forms and aesthetic colors. Dreamy pictures become real and create a world of their own. With their brand Kumi Mood, Cäcilia Holtgreve and Benno Sattler merge art, design and craft into atmospheric, individual and cheerful design objects. Their hand-drawn designs are characterized by inspiring colors and finely tuned shapes. With great attention to details they create character-strong objects that feel comfortable as a toy in the children's room or as a furnishing object in the living space. Lea Korzeczek and Matthias Hiller develop as STUDIO OINK tailor-made high-quality interior concepts for private and public spaces. The studio has also specialized in the field of object and product design and realizes independent limited small series of furniture and objects. The philosophy of STUDIO OINK is the balance between poetry and function, between simplicity and playfulness.